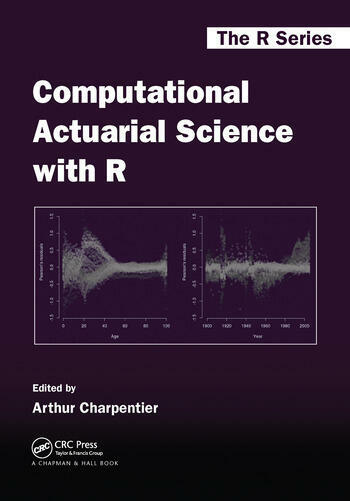 Computational Actuarial Science with R provides an introduction to the computational aspects of actuarial science. 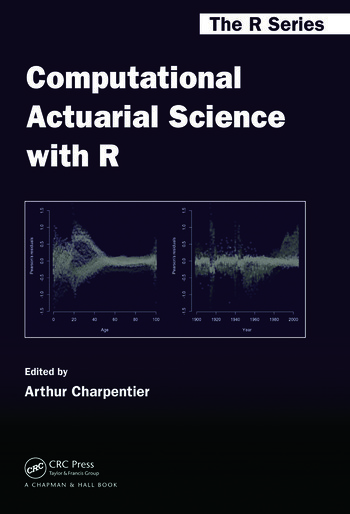 Using simple R code, the book helps you understand the algorithms involved in actuarial computations. It also covers more advanced topics, such as parallel computing and C/C++ embedded codes. After an introduction to the R language, the book is divided into four parts. The first one addresses methodology and statistical modeling issues. The second part discusses the computational facets of life insurance, including life contingencies calculations and prospective life tables. Focusing on finance from an actuarial perspective, the next part presents techniques for modeling stock prices, nonlinear time series, yield curves, interest rates, and portfolio optimization. The last part explains how to use R to deal with computational issues of nonlife insurance. Taking a do-it-yourself approach to understanding algorithms, this book demystifies the computational aspects of actuarial science. It shows that even complex computations can usually be done without too much trouble. Datasets used in the text are available in an R package (CASdatasets). "… the main objective of the book is that the reader gets interested in the topic and plays with the presented models and R codes in an active way. I have experienced that this goal can be easily reached for a large audience of readers because the presentation of the various arguments encourages an active learning of the concepts ‘without being burdened by the theory.’"
"… worthwhile reading and can be recommended to anyone who is interested in the computational aspects of actuarial science. The book contains many detailed worked examples, with R code fully integrated into the text. … the book provides information and code that readers with any quantitative background can gain something from. It will naturally appeal to actuaries of all calibers, but it has a much wider audience of quantitative analysts using R for statistical modeling and data analysis in various fields. There are also good reasons to recommend this book to any science library."